What are the Symptoms of Down Syndrome in Children? Low muscle tone is a symptom of Down syndrome in children. 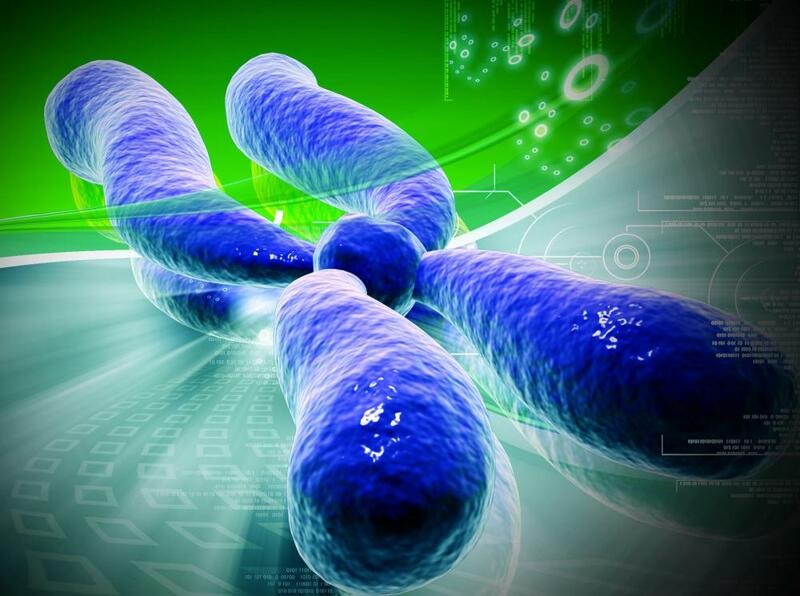 Down syndrome is linked to genetic material on chromosome number 21. 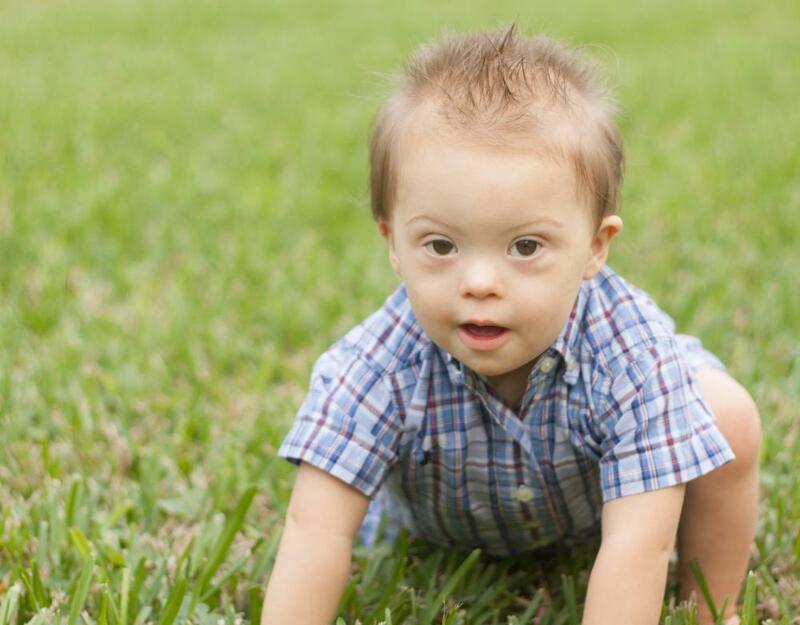 A child with Down syndrome may have delays in their normal childhood milestones. There are numerous symptoms of Down syndrome in children, some more noticeable than others. Down syndrome, also known as Trisomy 21, often causes a child to have distinct facial features. Symptoms can also include slight abnormalities in a child's build and mental disabilities. Kids with Down syndrome may also have issues with hearing and vision, which can result in social delays, as well as digestive issues and heart defects. Down syndrome in children often causes somewhat obvious facial features. Youngsters with Down syndrome typically have a flat profile. This is caused by an overall smaller nose than average coupled with an unusually round face. Trisomy 21 in children can also present with a small head in relation to the child's body and distinctly small ears. Many children with Down syndrome also have eyes that slant upward on the outer corners and occasionally an extended tongue. Brushfield spots, a less common symptom of Down syndrome in children, cause off-white spotting in the eyes. A child may have one or all of these facial features; very rarely does a child with Down syndrome have none. Low muscle tone, most apparent in infants and toddlers, is also a symptom of Down syndrome in children. This tends to make a child seem floppy or unstable, especially for those between the ages of six months and two years. With early intervention and physical therapy, low muscle tone in children with Down syndrome can be greatly improved. Most kids with Down syndrome have some sort of intellectual disability. While the severity of this varies greatly, Down syndrome in children usually presents with moderate learning impairments. This is classified as an intellectual quotient (IQ) score between 35 and 49. Children in this range typically need help in daily tasks, although most will eventually progress enough to live in a group setting as adults and hold a job. While Down syndrome in children can result in severe intellectual challenges, it can also cause only mild intellectual disability. Down syndrome can also cause some health issues that, when coupled with the above symptoms of Down syndrome, become symptoms as well. It is estimated that half of all children with Trisomy 21 have some sort of congenital heart defect as well as issues with hearing or vision. Severe constipation, starting in early childhood, is also a common symptom; this can often be managed with medication and diet, however. These health issues usually cause further delays in speech and a child's ability to be independent, which is already hindered by the intellectual disability. The severity of Down syndrome in children varies so greatly that a child may only have a few symptoms or many. What Are the Signs of an Intellectual Disability in Children? What Is a Fissured Tongue? 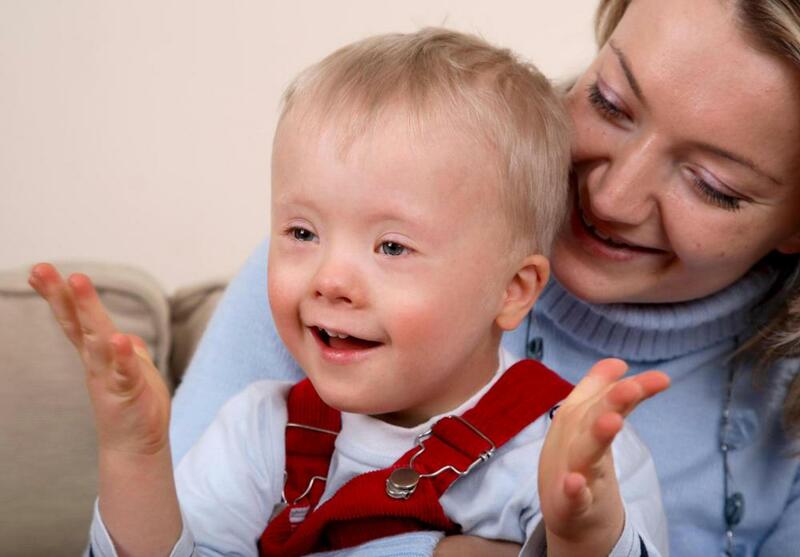 What Are the Characteristics of Babies with down Syndrome? What is Only Child Syndrome? 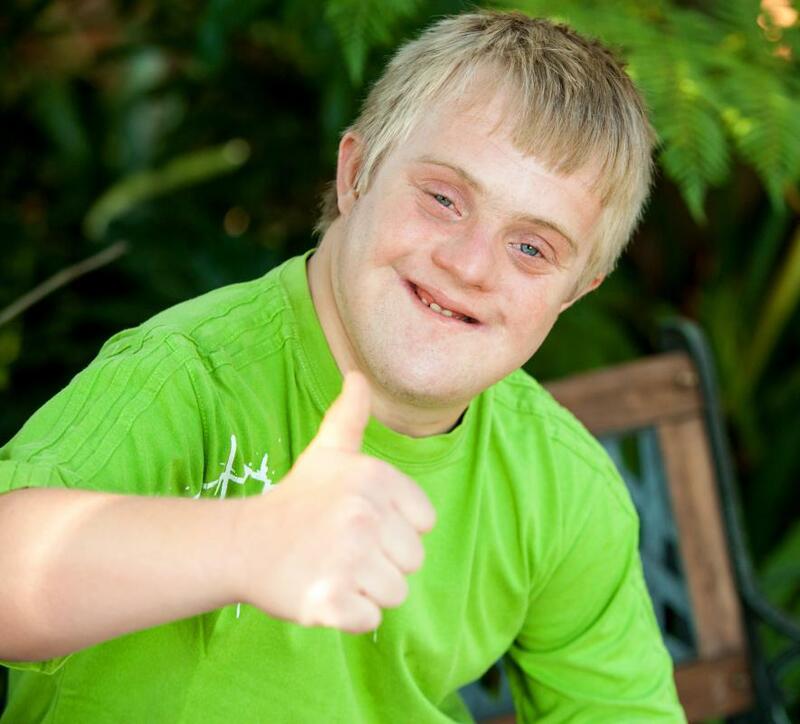 What are the Different Types of Down Syndrome Treatment?